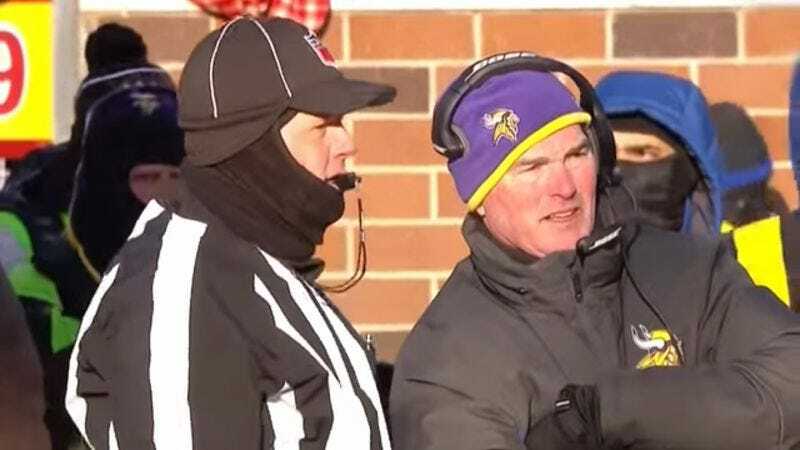 The most amusing sequence this time around involves the Minnesota Vikings’ stone-faced head coach, Mike Zimmer, who seems weirdly unfazed here by the fact that a referee is blowing a whistle directly into his ear. This is one occasion when BLR simply lets a joke play out for a while, and it gets funnier as it goes along, sort of like Sideshow Bob stepping on those infamous rakes. Another amusing moment comes at the expense of the Houston Texans, whose red-and-blue-clad cheerleaders are seen moving in formation to some truly cacophonous, ear-splitting instrumental music. It plays like what might happen if the people in charge of halftime entertainment decided to go in a more artsy, avant garde direction.